A lot of my relatives think my doll hobby is a sign that I refuse to grow up. Actually it isn’t, but I usually don’t argue with them about it. 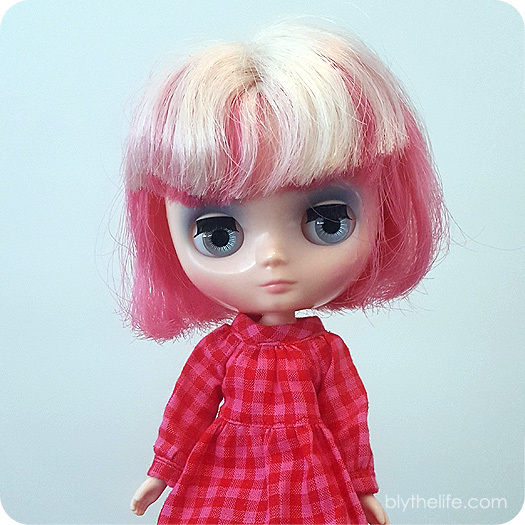 I have had people tell me that they think Blythe is “weird”, or “creepy”. I am not friends with people like that though, so I don’t care what they say. One person was really offended by my doll collecting. She said she thought dolls were for children, and acted like she didn’t even want to sell me the item I was purchasing! I have a lot of Blythe friends on Facebook and Instagram, so I am confident Doll people are just really creative, and they like cute stuff. I can relate to this a lot. I set up a separate Instagram account just for my doll hobby because my other Instagram was linked to Facebook and to people I work with and I know they can be as cruel and judgmental as high school students. Its a shame because I feel like I can’t really enjoy a lot of the Facebook doll community for “fear” that someone judgmental and cruel will discover my childish hobby, which only a few very close family members know about. Even they don’t really get it, but when I think about it, “Why not?” seems to be an appropriate response. While I know there are Blythe fans from all walks of life, being childless, single and a little shy makes me feel like there’s an added stigma to the whole thing. Like I’m compensating for things that are supposedly missing, or reverting to childish things. Maybe I am a little. Blythe came to me earlier this year among hard times and it was comforting to have something to do, something to keep me and my thoughts company. I’m hoping someday to be so confident as to not care. If I really think about it, along the lines of what Ashlie AKA @BrickleBears said, I like to be creative and I like cute things. That doesn’t sound so bad. I don’t really talk to many people about my doll hobby, but most people I know don’t really care what I do. I collect Vintage Polly Pockets as well, so my parents and bf are fine with what I collect and do. Though, the bf just doesn’t like the girls staring at him because it creeps him out a little. Also, I watch cartoons and play video games. If those grounds are used to judge people, then there really is no definition of childish to me. I mean, if people won’t accept or at least try to understand such a big part of your life, do you really need them at all? I’ve been asked if my doll collecting was me trying to make up for not having a baby before. I found that super offensive, esp as the person asking spends 90% of the time whining about how hard being a mother is..ahem anyway. I’m open about it and don’t care anymore. I bring them to work to put on my desk and post them on my non professional instagram page which many of my professional contacts follow. I often explain the history of Blythe to people when they ask what they are. Oh gosh, that is super offensive (the baby comment). I’ve never been asked that before, but I think it’s a very touchy subject (re: babies) because you never know what’s going on in that person’s personal life – maybe they’re trying but failed, maybe there’s health issues preventing them from having a baby. Then again, I think part of why people would ask that is because of those very life-like Reborn dolls and how some people do treat them like babies. Most of my friends are gigantic geeks (as am I, so I use the term with love) who spend their free time playing video games, D&D, cosplaying (which I also do), collecting action figures & the like (which I also do), reading comics (which I also do) and other things, so, while dolls don’t exactly fit in that geeky world (some do, of course) I think they kind of get it by extension. Although, I guess those things are becoming a bit more mainstream than doll collecting is! But I’ve even gotten a friend or two into collecting Blythes, so, yeah, I think I don’t really need to explain it? Most of the people I’m closest to are, well, we’re weird by most people’s standards and we revel in our mutual weirdness. Doll-collecting and doll-making run in my family. In fact, my great grandmother was an award-winning doll designer and maker. I tell people that when done right doll making is an art form like any other and Blythe, well, she is the Mona Lisa of dolls. –Patricia in Seattle. I too have a lovely child and awesome husband. I’ve been collecting Sylvanian Families since I was a girl and got my 1st Blythe in 2008. It’s a fun activity and have told some people. I think most people think it’s quirky and harmless. But yes, I created a separate IG account because I know some people would get weirded out and it’s not for them anyway. I went to BlytheCon SF this summer and even though I didn’t bring my dolls and felt a little shy, I had a great time.